A collaborative exhibition with the British Council, "We Suffer To Remain" is an exploration into just what voices get to speak to the trauma of slavery. 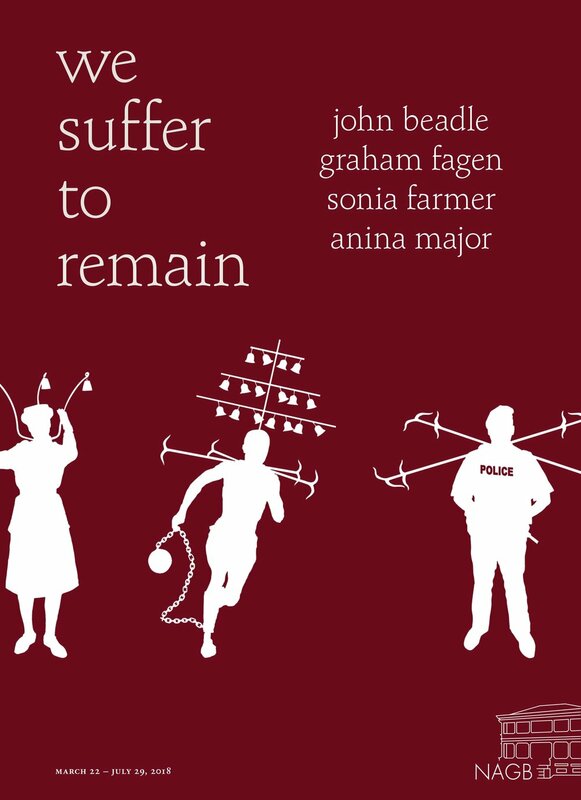 Featuring the work of Bahamian artists John Beadle, Sonia Farmer, and Anina Major alongside Scottish artist Graham Fagen, the exhibition gives us the British colonial "amnesia" around the history of slavery, with responses from those living the reality of its aftermath. Curated by NAGB Chief Curator Holly Bynoe.